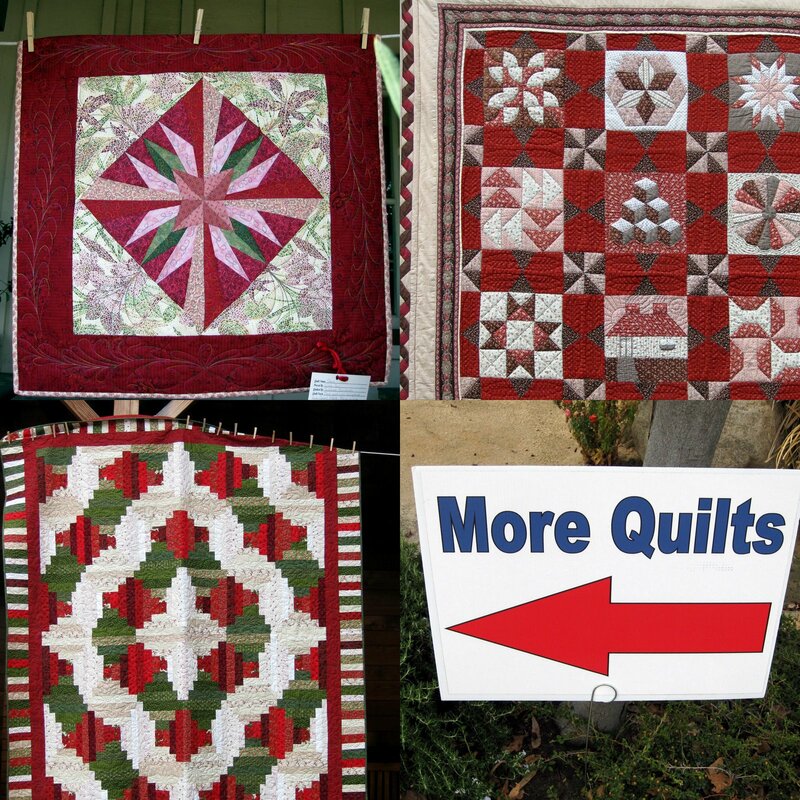 A collage, of quilts with red in them, for Ruby Tuesday; and the red arrow, of course. These are from the Temecula Outdoor Quilt Show, on Saturday. Click over to Mary's to see who else posted some red in their photos. I wish I could have been there...More beautiful quilts. They are beautiful quilts and I love the colors and patterns. Happy Ruby Tuesday! Wish I had been there. Great examples captured! What lovely quilts. Happy Ruby! Lovely quilts. Love the ruby colors. Wonderful and Christmasy. :) You found some real beauties! These red quilts are stunners! The designs are amazing. There is so much history in quilt making.